The son of Rafael arrives to the family’s country property in the south of Spain to introduce his girlfriend and announce their wedding plans. In the villa also live Rafael’s best friends: Francisca, Henry, Lucas and Domingo, all them suffering from a money complex. Amongst other jobs, Juan Rodrigáñez (Madrid, 1971) ran the art gallery “La verde oliva” and coedited “Vera. Poetry Review”. 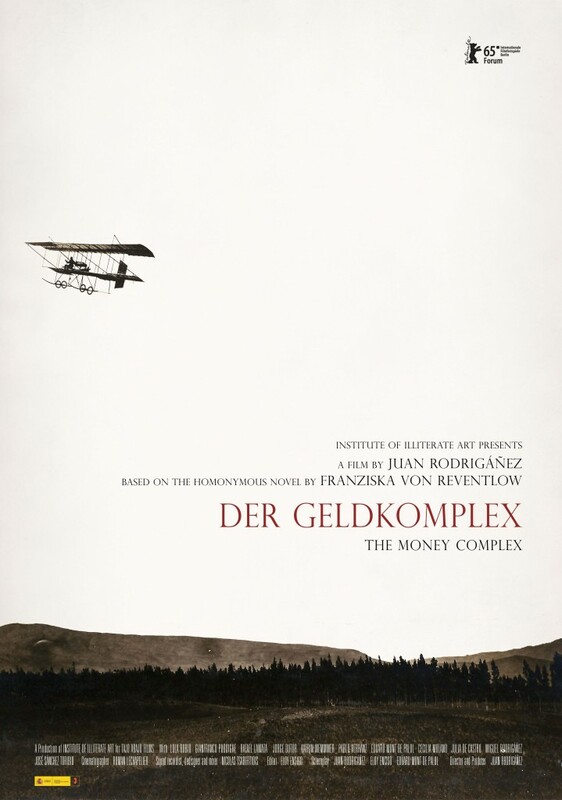 In 2008 he creates the film production company Tajo Abajo and in 2013, together with a group of choreographers and performers, he founds the Institute of Illiterate Art, through which he produces and directs his first feature film “Der Geldkomplex – The Money Complex”.